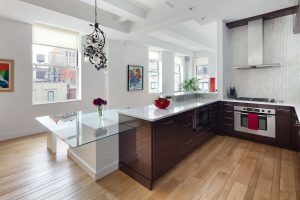 Whether you’re looking to renovate your kitchen, combine apartments or renovate an entire brownstone, our all-in-one approach to projects ensures a fluid process and seamless client experience. We dedicate ourselves to each project and only accept those where we can ensure that we meet our own standards of client attention and responsiveness. We have a passion for reimagining space and creating beautiful spaces for living. We’re skilled not only in design, but also with navigating projects through the multiple approval processes that could be required before construction can begin in your home. With our years of experience in NYC, our team knows how to design around spaces of just about every shape and size. In a city where real estate is so valuable, our passion is finding function in every square inch of space and creating beauty in the space that surrounds you. 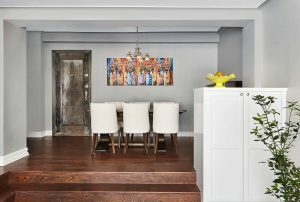 Completely transforming an entire apartment, combining apartments, or bringing a multi-tenant brownstone back to its single-family glory are all projects where our expertise in managing the full design & renovation process are most evident. 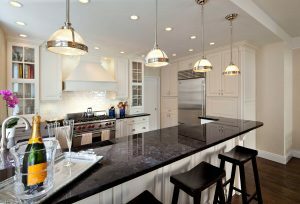 Understanding how you use your kitchen is paramount to designing a beautiful one. We firmly believe that function and beauty are equally important and will work with you to ensure that balance. Whether you’re creating a personal sanctuary or a showpiece powder room, we can guide you through the process with ease. 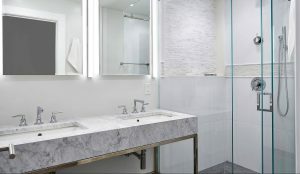 With our full-service approach, we’ll work with you on the design to find a beautiful solution and deliver a quality bathroom crafted with our careful attention to detail. 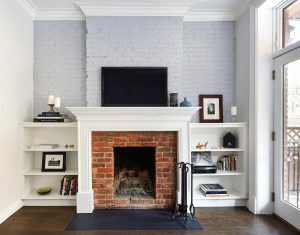 Entertainment centers, built-in desks, dining banquettes & bookshelves are just a few examples of our capabilities for custom cabinetry. With many different cabinet lines and styles to choose from, including eco-friendly (‘green’) options, you’ll be sure to end up with a design you love. We strongly believe that bringing the Architecture and General Contractor roles together produce the greatest results, both in terms of creative design solutions and client satisfaction.